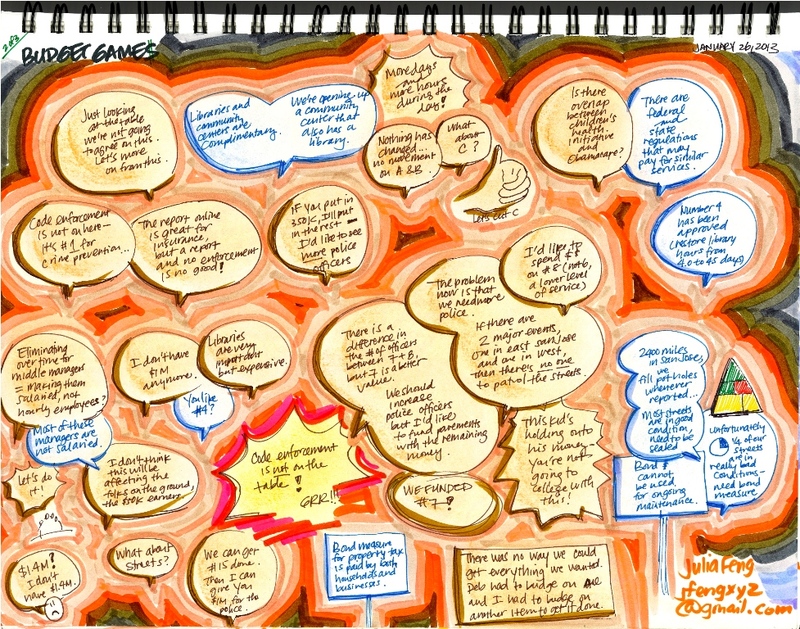 In the past few years at my workplace, I have had the opportunity to become a trained facilitator of Innovation Games. Innovation Games are structured games used by organizations to foster brainstorming activities, prioritize requirements, or get to the root of issues or problems. Putting players into ‘game situations’ with a clear set of rules allows them to stretch their creative limits a bit further than they normally would, usually with more dramatic and interesting results. I have used Innovation Games very effectively several times in the last few years to really dig down into design or product issues and extract some really good information from those participating. When I saw Luke several months back, he told me that the City of San Jose, California was using one particular game called ‘Buy a Feature’ with great results. The game was used to help the mayor decide, with the help of hundreds of citizens, what budget proposals would receive funding for the coming year. The concept intrigued me instantly. First, I am a huge proponent of Innovation Games as a way of drawing intuitive and creative thought out of the target audience. The world is full of things that aren’t designed particularly well and full of processes that flat out don’t work so getting people to drill down into what is important to them is essential for improving the design. Second, I dislike politics intensely. I feel that we elect leaders and are never sure if they are doing the right things or spending their allocated budgets in ways that represent the feelings of average taxpayer. 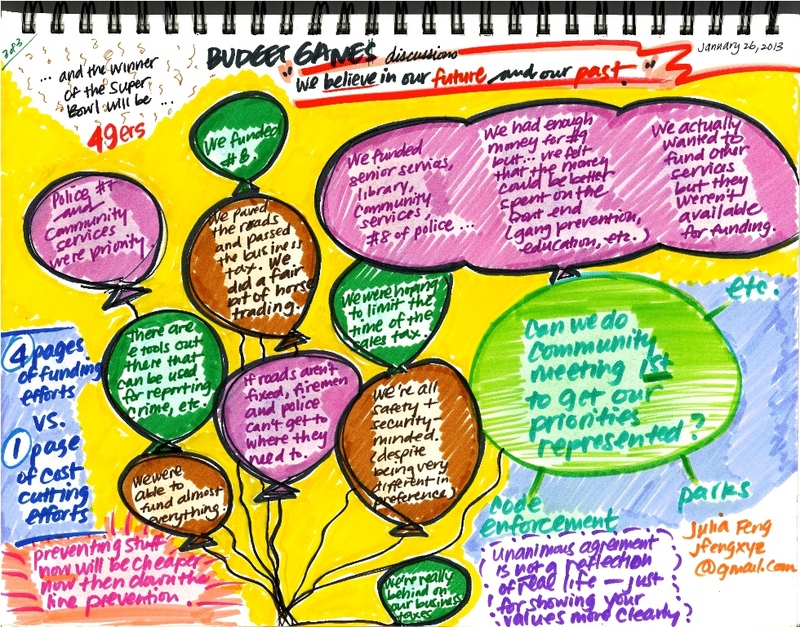 Bringing the two together struck me as a very interesting and rewarding exercise, especially when Luke told me of the great and promising results from the first two San Jose Budget Games. With that in mind, I was determined to try to use my facilitation skills to help the effort. 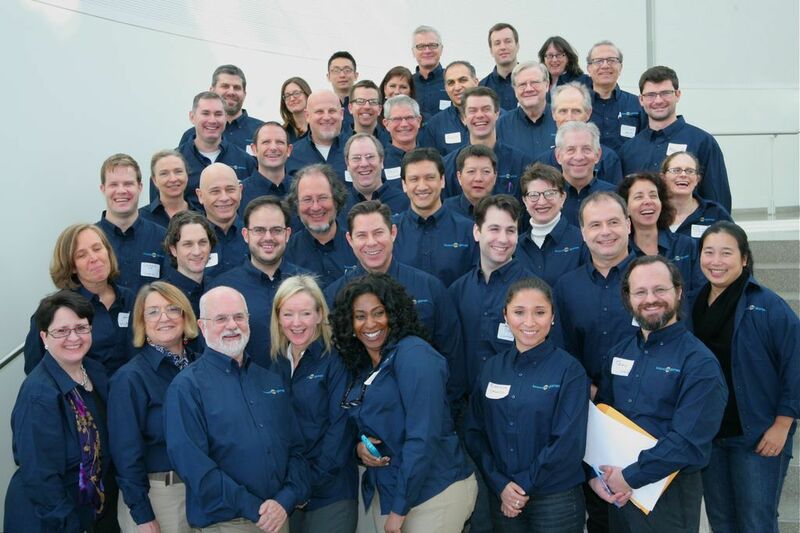 I was joined by dozens of people from other companies, some of whom (like me) had been facilitating games for a few years, others who had just been taught game facilitation two days before at The Innovation Games® Company Summit. We were each assigned a table of 5-8 people who didn’t have much in common other than they were concerned citizens of San Jose who were taking part in this exercise to try to make sure their voices were heard on the subject of the city budget. At my table we had two bright young teens who were part of a junior leadership group, senior citizens, and people active in their homeowners associations. In the game they were given a bunch of materials that would help them to fuel discussion and make decisions on the various budget proposals up for consideration. Each was given some seed money and the ability to raise money from tax increases or cutting of current programs. The game is designed in such a way that they players do not have enough money to buy everything on the list. They must work together, discuss the importance of certain issues, and pool their money to fund the proposals on the list. Needless to say, the conversation was intelligent and spirited. After they were done, my group had funded the things that were important to them and were able to stand up and share with a group of hundreds of people what they funded and their thought process on why each was important. The results showed that if presented with clear direction, clear descriptions of the issues, the ability to ask questions of city leaders (all of whom were in the room), and the opportunity to make their voice heard, these people could identify what they felt needed to be a priority for their city. The group of trained facilitators and observers who donated their time for a great cause. 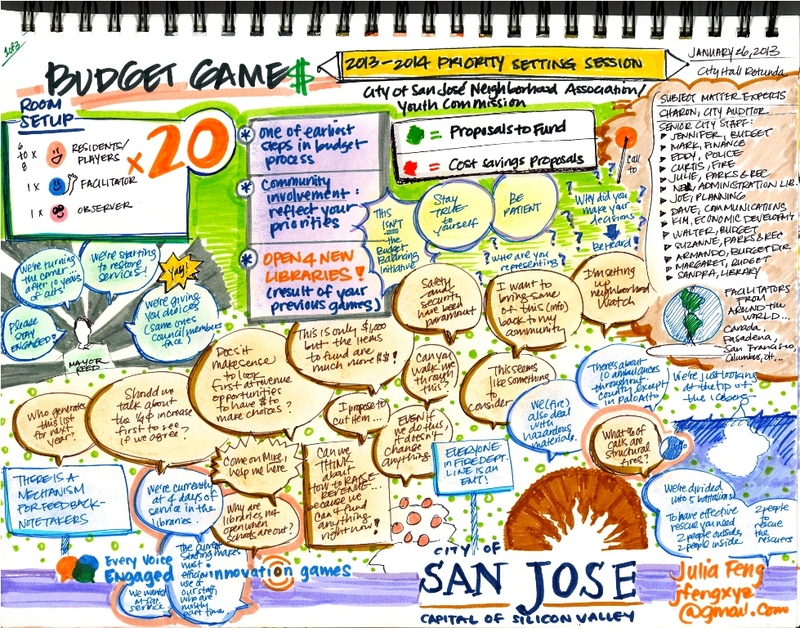 Graphical representations of topics and conversations from the 2013 San Jose Budget Games.